Yesterdays approach to building a social presence and listening to conversations is outdated. Today, marketers need to understand how to reach and engage social audiences. Beyond “Paid” media strategies to achieve this objective, NewzSocial has created a campaign based platform that brings together content, replicable process and scaled social distribution to achieve a “Earned” engagement at scale. 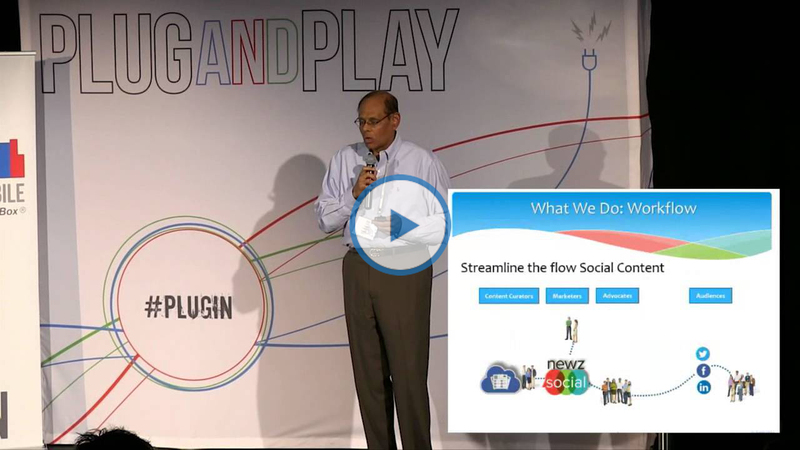 Anand Jagannathan describes NewzSocial. -Yesterdays approach to building a social presence and listening to conversations is outdated. Today, marketers need to understand how to reach and engage social audiences. Beyond “Paid” media strategies to achieve this objective, NewzSocial has created a campaign based platform that brings together content, replicable process and scaled social distribution to achieve a “Earned” engagement at scale. The power of the consumer, and that of the marketer.